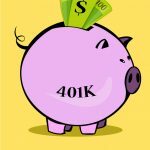 IRA vs 401k - Which is Better for You? 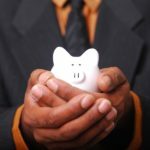 The IRA vs 401k – Which is Better for You? Congratulations if you have reached the point in your financial life where you are starting to look beyond simply having a savings account and want to really put your money to work! That is exactly what this website was created to accomplish. IRA vs 401k Central was designed to be a place where savers could go to find out more about all the options they have in front of them. Knowing the advantages and disadvantages of your options will not only help you to make better informed choices, but it could also result in thousands (even millions) of dollars more throughout your lifetime. So is an IRA or a 401k really better than one or the other? The answer: It depends! Your unique situation and financial goals will dictate which one has better tax advantages, contribution limits, and even whether or not you qualify to participate. But why go with one or the other? Why not get to know the strengths and weaknesses of both so that you can leverage them to create the biggest nest egg you can make! Read on to learn more about each one and how you can use it to your benefit. An IRA (Individual Retirement Arrangement) is a type of U.S. tax-sheltered investment account that is intended to help you save your money for retirement. The incentive is that you receive a break on your taxes. A Traditional IRA gives you a tax break up front (in the form of a deduction on your income taxes). After that, the principal and earnings grow tax-free. When you finally retire, you then pay income taxes on the money you withdraw. This is why these accounts are often referred to as “tax-deferred”. A Roth IRA is the opposite – You pay your taxes on the money up front when it is first invested (in other words, you don’t get a tax deduction on your income taxes). After that, the principal and earnings grow tax-free. When you finally retire, you don’t pay anything on the money you withdraw. An IRA is setup by an individual. So unlike a 401k, there are no ties or connections or restrictions from your employer. No matter where you go and what you do, the money is yours to do with as you please. A 401k is another type of U.S. tax advantaged savings plan that is intended to help people save for retirement. 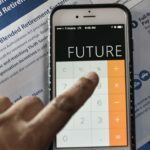 Similar to the IRA, the incentive is again to give users a break on their taxes if they decide to save for retirement. Unlike an IRA, a 401k plan is setup through your employer. Traditionally the way it works is you divert money from your paycheck before income taxes are taken out. Those funds are placed in a special investment account in your name. The contributions and earnings will then grow tax-deferred until the day you decide to withdraw them for retirement. Similar to a IRA, all the money you invest and earn is yours to keep. However, because it is sponsored by your employer, certain restrictions and rules on accessing the money can apply. 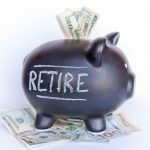 There is also a “Roth” version of the 401k which (similar to a Roth IRA) allows you to pay your taxes on the savings now and not pay anything when you retire. 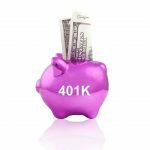 The name “401k” refers to section 401(k) of the U.S. tax code that allows for individuals to set aside a portion of their paychecks free of taxes in preparation for retirement. 401k plans started to became a popular substitute for traditional pension plans starting in the 1980’s, and eventually became the dominate offering for most private and public firms. Unlike a pension plan where the employer controlled the how the retirement account was invested, how much you had to contribute, and how much you’d eventually get, a 401k gave individuals the power to decide for themselves how the money would be managed. Each individual is allowed to make up their own mind about how much they want to save and how their money should be invested. IRA: To start an IRA, you simply need to have earned income. That generally means having a job or some sort of taxable wages that you report to the IRS. 401k: To participate in a 401k plan, it has to be offered through your employer. Speak with your human resources department to see if this sort of program is sponsored. Which One Was Created First? The 401k was created in 1978. 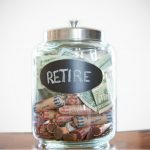 Throughout the 1980’s and 90’s as costly pension plans started to be phased out by employeres, the 401k plan gained tremendous popularity as a worthy substitute. The Traditional IRA was first introduced with the Tax Reform Act (TRA) of 1986. It’s counterpart the Roth IRA (named for Senator William V. Roth, Jr.) was introduced as part of the Taxpayer Relief Act of 1997. How Much You Can Contribute? IRA: Both the Traditional and Roth IRA have a 2016 maximum allowable contribution of $5,500 per year. If you’re age 50 or older, then you make an additional catch-up contribution of $1,000 for a total of $6,500 per year. 401k: The amount of money you can contribute to a Traditional or Roth 401k (called your elective deferrals) in 2016 is $18,000. If you’re age 50 or older, then you make an additional catch-up contribution of $6,000 for a total of $24,000 per year. These contributions to your 401k do NOT include employer contributions. These are only the amounts that you, the plan owner, must stay below. All of these contribution limits increase every few years due to periodic cost-of-living increases. Is There an Employer Match? IRA: No. Since this is an account setup and managed by an individual, most employers do not make any contributions to it. 401k: YES! And this is one of the biggest benefits in the IRA vs 401k debate. Almost all employers will offer some type of employer matching contribution, and this can be a HUGE advantage for you. Say your employer matches 25% of your contributions. Therefore if you save $10,000 per year, that means your employer will kick in an extra $2,500 per year! That’s not too bad! If your employer does offer some type of match, make sure you contribute at least enough to take complete advantage of the full amount offered by your employer. To not do so would be like leaving money on the table! 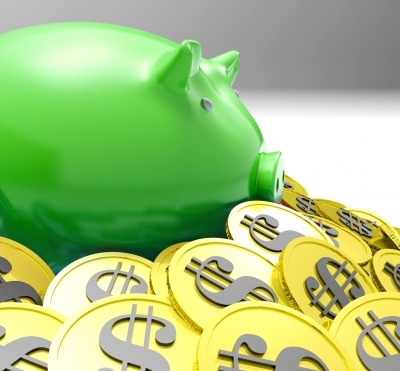 Whenever you open any of these types of accounts as you normally would, the financial institution will usually give you the option to designate it as an IRA. 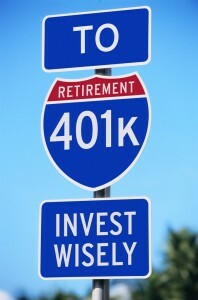 401k: A 401k plan is usually setup through a large financial institution by your employer . Depending on what products this financial institution offers will dictate what sort of investments you can make. Usually the investment options include mutual funds, stocks, ETF’s, etc. IRA: The income requirements for Traditional and Roth IRA’s can carry very different upper limits. For a complete list, consult this page from the IRS. Traditional: Between $98,000 to $118,000 if you have a retirement plan at work and between $184,000 to $194,000 if you don’t have a retirement plan through work. Note that for Traditional IRA’s, you can still contribute to one even if you exceed the maximum allowable income requirement. You just simply don’t get to take the tax deduction; hence why it’s then called a non-deductible IRA. Even though you may not get the up-front tax break, your investments still grow tax free. You can also convert it over to a Roth later if you want! 401k: There are generally no maximum upper income limits for contributing to a 401k plan. The only caveat is when a business has something the IRS calls too many Highly Compensated Employees (generally those individuals who make over $110,000 per year). 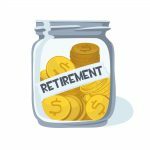 When the discrepancy between retirement benefits received by highly compensated and lower compensated employees is too great, a company can lose the tax deduction it gets for the retirement plan. 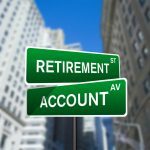 Traditional IRA and 401k: You are allowed to start withdrawing your money after age 59-1/2. If you do so before that, the IRS charges a mandatory 10% penalty (called an excise tax) in addition to ordinary income taxes on the amount withdrawn. 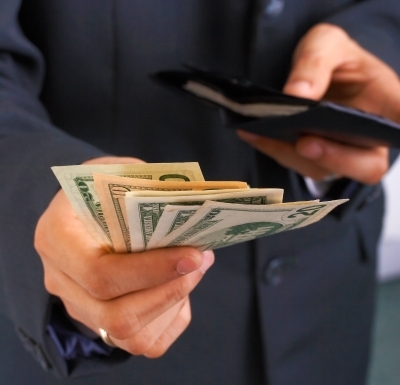 Apply for Substantially Equal Periodic Payments (SEPP). 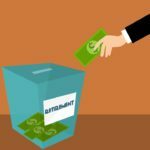 Roth IRA: If you absolutely need to access your money, you can withdraw your contributions or principal (the money you invested) pretty much right after contributing. However, if you can help it, be sure to wait a minimum of 5 tax-years. There is a little-known rule that says your Roth IRA has to be 5 years or older for your earnings to later qualify as tax-free. You can’t withdraw the earnings until after age 59-1/2 without penalty. Traditional IRA and 401k: The IRS has Required Minimum Distributions (RMD’s) for both plans starting with the year that he or she reaches 70 ½ years of age or, if later, the year in which he or she retires. That means that you are required to take out a certain minimum percentage each year (and pay taxes on it). Roth IRA: You don’t have to take required minimum distributions at age 70-1/2. Since the IRS already collected taxes on this money when you first invested it, you are allowed to make withdraws whenever you like. 401k: If you leave your job, you have several options for your 401k. You can leave it alone with the current provider. You can roll it over into the new account. You can roll it over into an IRA with a new financial provider. There can be a number of variables such as taxes or fees that will dictate whether this is the best move or not. Make sure you ask both the new and old financial service providers what the implications will be. IRA: You can not convert a Roth IRA into a Traditional IRA. But you can convert a Traditional IRA to a Roth IRA. 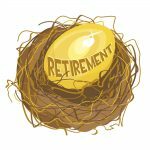 Traditional IRA and 401k: When you pass away, you can leave your retirement savings to your heirs. However, estate and income taxes may apply. Roth IRA: Your heirs can inherit a Roth IRA to an heir without tax implications or penalty. 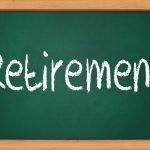 How to Retire At 55 – It Really Can Be Done! Your future depends on the plans you make now. Take the time to consider your options and how they can be optimized to achieve your success!